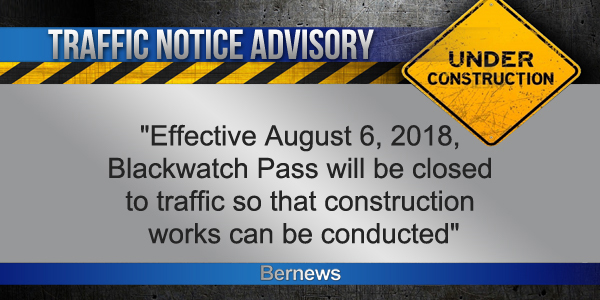 A Government spokesperson said, “The Ministry of Public Works is advising that effective August 6, 2018, Blackwatch Pass will be closed to traffic so that construction works can be conducted. “The closure will be for an extended period of time. While Blackwatch Pass is closed the public is encouraged to seek alternative routes to avoid delays. I have to wonder if they’ll they ever comolete this project It was closed for an extended period, reopened then there were stop lights up for a while. Now this……..